Contrast that image, taken in March of 2014, to this week’s picture which I took nearly three years later. Not only have I learned a lot more about creating a well-composed photograph but I was, thanks to my +10 close-up filter, able to get much closer to the little red bud. So much that it nearly fills the frame and is obviously the clear subject of the image. The second picture is so much better (in my opinion) that it’s not even close, and I’m constantly amazed at how using a close-up filter is able to bring out so many rich details that are all around us but often go unnoticed. Focusing this image was tricky as all get out, since shooting an object a few inches away results in a depth of field that is downright unwieldy. I initially took some shots at f/4 but then stopped down to f/8 to not only get a sharper image but to get a slightly wider area in focus too. 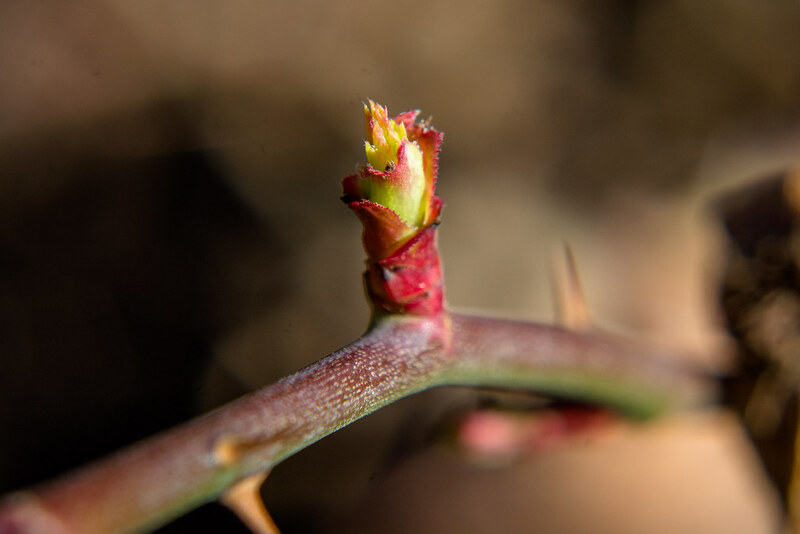 The f/4 shots also lacked a sense of context, as the background was just a blurry cloudy mess whereas in the f/8 iteration you can (sort of) see a thorn extending from the branch which hopefully sends a signal that this is on a rose bush and also gives a sense of scale for the bud. Another informative and thought provoking article. I also have a set of close up lenses that I have let set stagnant too long. I’m definitely going to have to dig themout of storage this speing and make up for lost time with them. I for one, would love to see you retake shots you couldn’t get before you had close-up lenses. Oh man Skip, I would definitely dig out those filters if I were you! This time of year, with all the flowers blooming and trees budding, is a great time to go out and see the world a little closer :) Good luck and I’m sure you will get some great shots! Yes, macro does help one see from a different perspective. 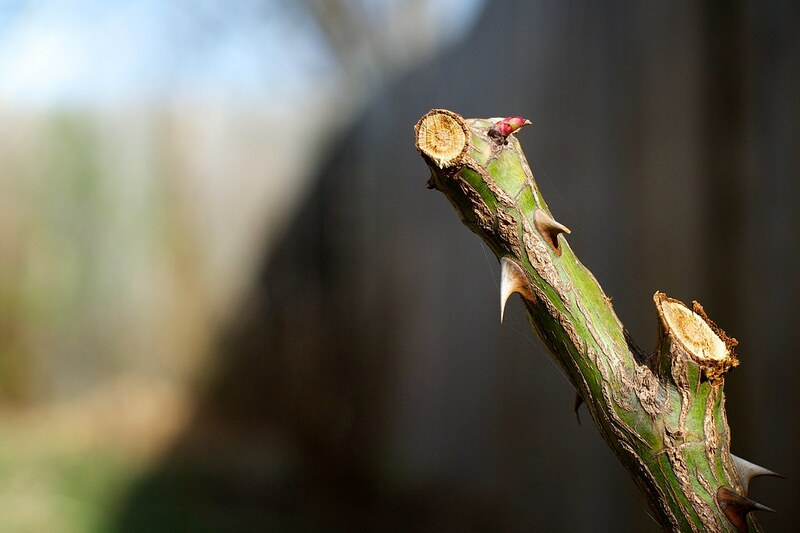 I never thought of using rose bushes as a project; hmmm, got me creating already! That’s amazing! What close-up filters specifically do you use? Nikon brand? I’ve got to get me some of those! Thanks for asking, Kim! I use Polaroid filters, and the set I got from B&H was about $35 for four filters. Great photograph showing the details of the bud. As the saying goes, God is in the details. It does make one stop and wonder how much we miss by looking just at the “big picture” instead of the details all around us. I really liked you explanation and the evaluation of your photographic development over the last few years. Macro photography is fun and frustrating for me as I learn to get the image I want with limited focusing ability. That limited focusing ability sure can be frustrating Dennis! Depth of field is so, so shallow that I often take dozens of shots of my subject and just cross my fingers that one of them turns out!